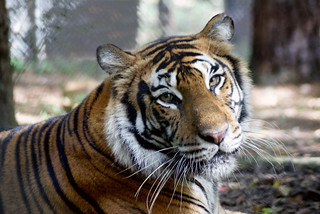 Thank you for your interest in volunteering with Carolina Tiger Rescue. Volunteers play a vital role in our organization and perform a number of important jobs. Volunteering with us can be extremely rewarding and a great learning experience. Below you will find a brief job description of the different individual volunteer opportunities at Carolina Tiger Rescue. The job descriptions will give you more insight into specific duties, age requirements, and the minimum time requirements. 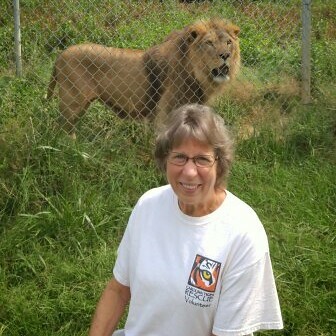 Animal Care Volunteers assist with daily animal care tasks such as feeding, changing waters, and cleaning enclosures. 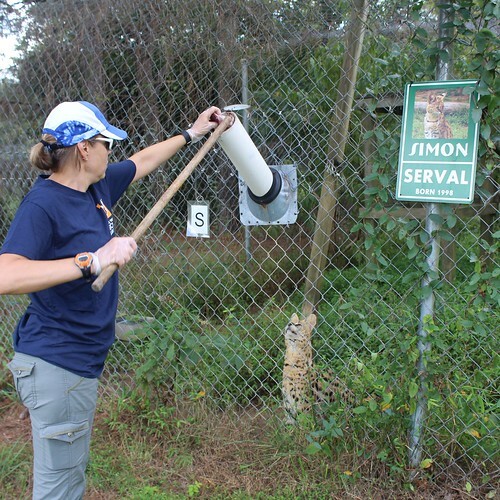 They also help with routine maintenance in the sanctuary and provide enrichment activities designed to increase the animal’s behavioral choices and draw out their natural behavior and tendencies. We are only accepting applications for weekday animal care volunteers. All positions for weekend animal care are full at this time. Tour Guide Volunteers conduct educational tours of our animal sanctuary and facilitate community presentations for groups of all ages. They provide guests with information about our history, conservation goals, positions and values, as well as the biology and background of the animals that call our facility home. Seasonal Animal Care – Perfect for Students! Seasonal Animal Care Volunteers perform the same tasks as our non-seasonal volunteers, and join our team with the understanding that they will only be here for 6 months and may not get trained on higher-level responsibilities. All Seasonal Animal Care Volunteers have the option of remaining with Carolina Tiger after their initial 6 month commitment is over. Age requirement and monthly commitment remains the same as the non-seasonal Animal Care position listed above. Gift Shop volunteers assist our Gift Shop Manager with tagging and organizing new items, framing Pawcasso masterpieces created by our resident carnivores, and a variety of other important tasks. Gift Shop volunteers also assist with data entry on occasion and help us maintain visitor records. If you want to volunteer with us but don’t want to spend too much time outdoors, this is the role for you! 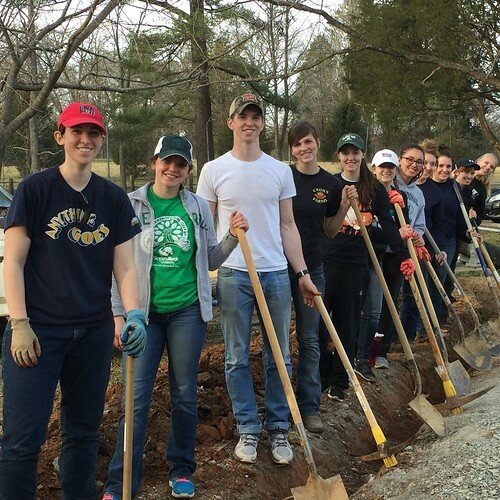 Construction Volunteers assist with a variety of construction, maintenance, and grounds keeping tasks such as yard work, building new enclosures, dismantling old structures, mixing and pouring concrete, and vehicle maintenance. Construction Volunteers also aid in supervising youth and adult volunteer groups from local schools, clubs, and businesses. If you have any questions about our volunteer opportunities, contact our volunteer coordinator, Maryssa Hill. Ready to apply? Click the Volunteer Application button below to get started! Already a volunteer? Click the Volunteer Sign-in button below to log into the volunteer portal! General orientations are on the first Friday and Saturday of each month. Tour Guide and Animal Care orientations are scheduled for the second Saturday of every month. New Tour Guide Volunteers and Animal Care Volunteers are required to attend both orientations before they can begin volunteering. These dates are subject to change due to holidays and other events.